We are now located in the Stuart Park Plaza on Keith Street, Cleveland, TN. 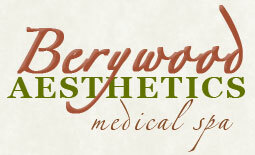 Berywood has been offering botox injections, laser hair removal, and chemical peels for over seventeen years and we have continued to grow with clients and services every year. Today we are a full service Medical Day Spa with an on-staff Medical Doctor and two Nurse Practitioner’s. Berywood has grown over the years and we have expanded to offer services including professional makeup, nail and hair services, weight loss and even BioIdentical Hormone Therapy to name a few. On behalf of everyone at Berywood, we would all like to say Thank You for your continued support of our business because without You we would not still be here! If you have questions concerning any of our services or if you would like to schedule an appointment please call us at 423-310-0879. We always give one Free Consult! Look for us on Facebook & Instagram! © 2019 www.berywood.com | All Rights Reserved.